Would this work for an outdoor patio installation? BEST ANSWER: I've installed commercial grade outdoor speakers on paddlewheel tour boats in New Orleans. 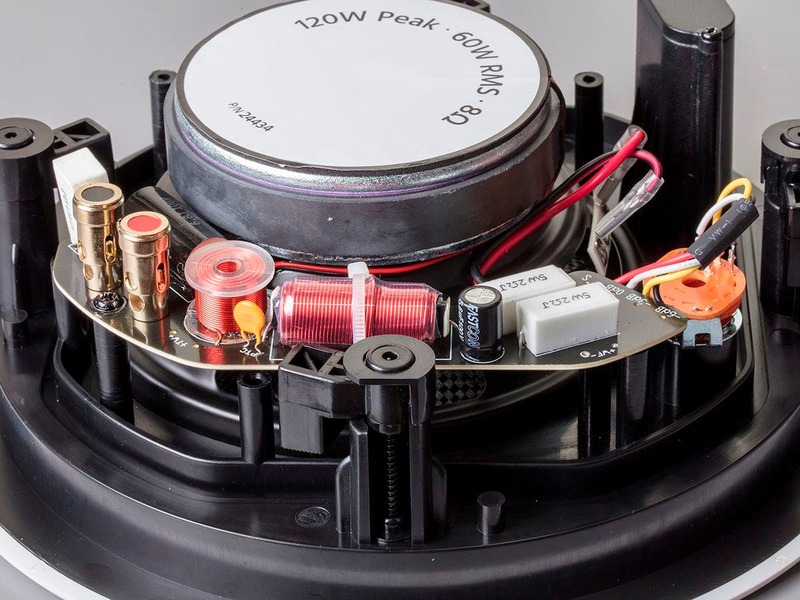 When the speaker cones are made from a polymer material and have rubber surrounds, the speaker drivers last about 5+ years. 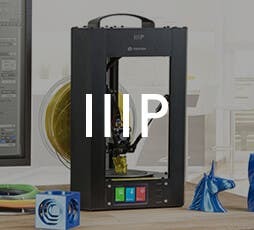 However, the humidity wrecks havoc on the hardware and that includes the spring loaded wire connectors. Use stainless steel hardware and use a silicon-based gel on the terminals to displace moisture when inserting wires. Most outdoor speaker enclosures are a fiberglass material that eventually breaks down when exposed directly to the sun's UV rays. In a commercial installation, they budget for regularly scheduled equipment upgrades and repairs. 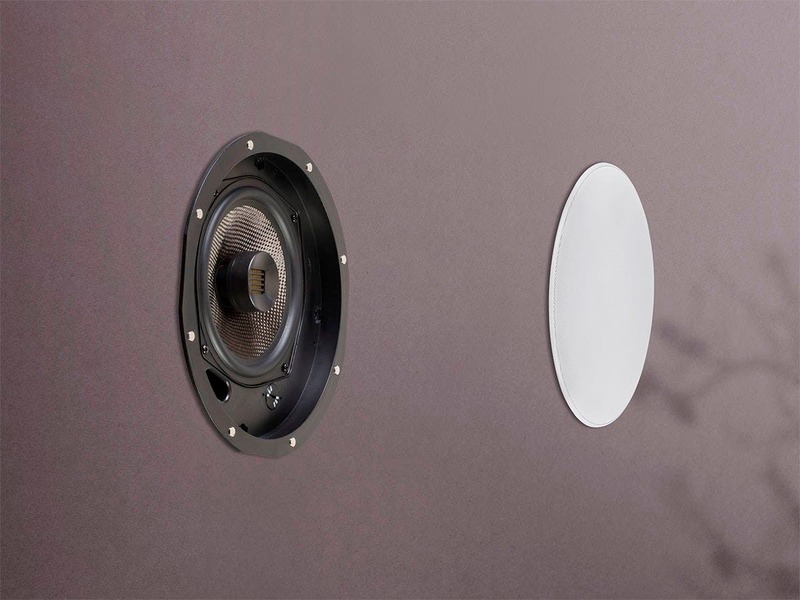 For those reasons, these speakers may last you 5+ years, but i'd be more concerned about replacements down the road and how they would fit in the existing holes you just cut into your soffit! Indoor speakers don't stand up to the elements well. 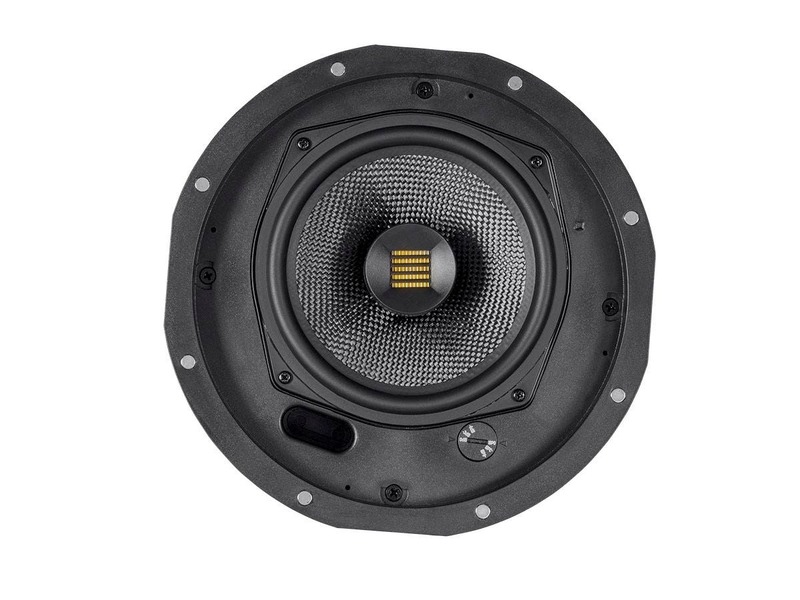 You may get a few years out of them, but the change in temperature and moisture will destroy the speaker. I would get an enclosed outdoor speaker, they will last you several years without a problem. I have it in my kitchen and it is fine. I am not sure how much moister you get in your patio. I suggest if you plan to have it there for years to come, to look for speakers made for outdoor. BEST ANSWER: Thank you for your interest in these ceiling speakers. No, the tweeter does not pivot. The ribbon motor is a little to large. Will there be an Angled version available (like Product # 4929) in 6.5" & 8" any time in the near future? If so, will it have a pivoting tweeter? BEST ANSWER: We are currently working on a 15° version like the Caliber model with pivoting tweeter. No ETA as of yet. Any ETA yet? 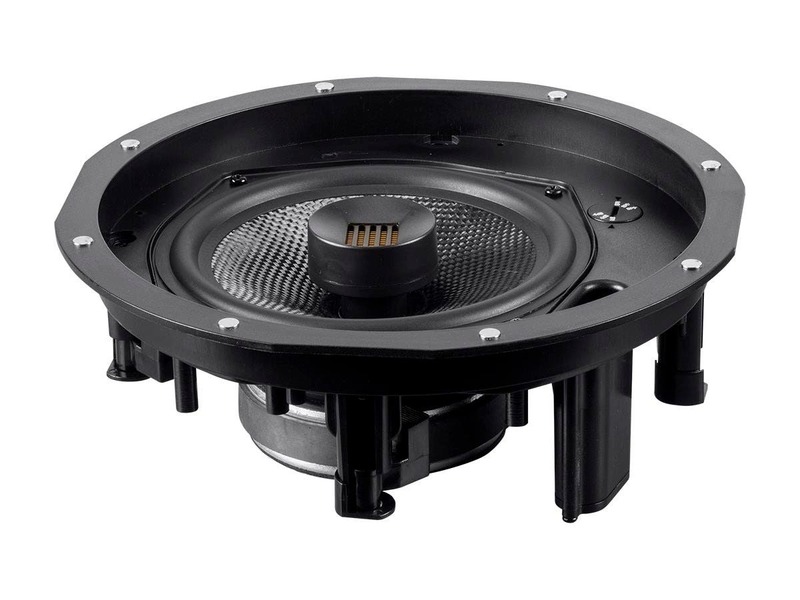 On the 15° version like the Caliber model with pivoting tweeter? Any ETA yet - on the Angled version of this speaker ( both 6" & 8"). Any ETA on the angled Amber Ceiling Speakers yet? Any ETA on the Angled version of Product # 4929 in 6.5" & 8"? Would these speakers be qualified to use in a Dolby Atmos setup? BEST ANSWER: Yes. Our Amber Ribbon Speakers are an excellent choice for your Atmos immersive system. The way Atmos works in-wall and ceiling speakers have a much better chance than before to sound great in a home theater setup. Especially if you can supply the max channels your atmos receiver can handle. 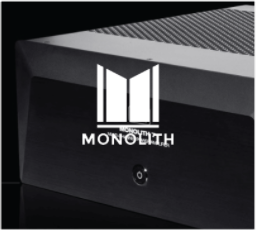 I’m sure it will sound great with 5 channels and you may even want to expand in the future. Use the 8in rears if you can. You won’t regret it. You can also add more channels in the future which is nice. Atmos is very flexible. Just following up in the New Year to see if an angled version has received a release date? Thanks! BEST ANSWER: Not yet, thanks for checking. I'm thinking of using 5 of these 6.5" speakers for Front, Center and Rear along with 4 of the 6.5"ceiling speakers and the 10" Alpha sub. 5.1.4 If that sounds doable would I be OK to mount them on their sides to keep the height of the TV closer to eye level? BEST ANSWER: Sounds like a pretty sweet set-up. 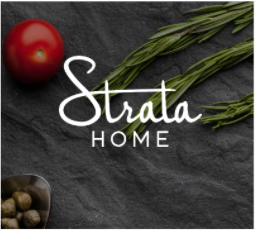 Take some pictures and give us your review. Mounting any in-wall speaker sideways should work fine (unless the speaker says otherwise). Keep in mind though, when you do that you may be altering the acoustic properties of the speak as many are not tested in that orientation. If you need a finely tuned system or specific sweet spot in the room, that may be more difficult with them sideways. Additionally, if you're using the 6.5 speakers as rear channels, you may want to use more powerful ones in the front and center to balance the sounds better for theater style usage. In most theater the front and center changes are significantly more powerful than the side and rear channels as those are used more for environment and ambiance. Good luck, hope it sounds great. Are these for outdoor use? 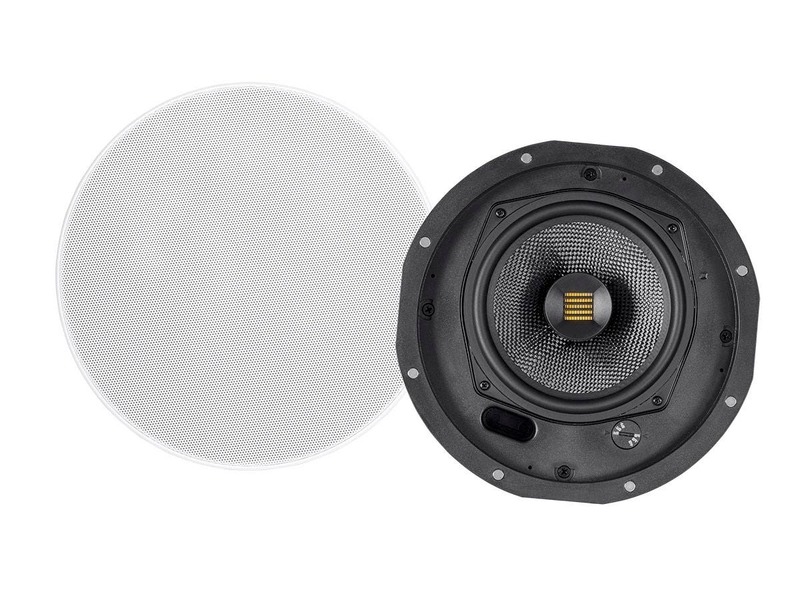 BEST ANSWER: The Amber Series in-wall and ceiling speakers are not rated for outdoor use. I recently purchased these Amber inceiling speakers 6.5". Are there ceiling enclosures available for these? BEST ANSWER: Our metal back cans work with the Alpha and Amber series ceiling speakers. Enjoy. If I want more bass from these speakers do I open or close the port? I have them mounted in the metal enclosures in the ceiling. BEST ANSWER: Not sure haven’t installed them yet sorry. I'm in Florida, can the Amber's be installed under eve (outside) on a lanai? 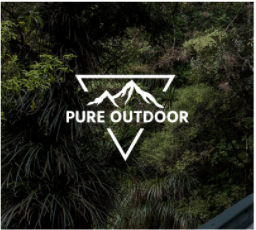 BEST ANSWER: We have not given the Amber series speaker any outdoor rating. You would have better luck with the Caliber series. HI is there a version with an angled tweeter yet? My builder installed some pyle 6.5 in 2 way speakers (PDIC66) in-ceiling speakers. I have them connected to the monoprice 50W hybrid tube amp in a 18 x 15 room. They sound OK but lows are mutted and muddled (which I somehat expected). How are the lows on the 6.5 in Ambers? Can’t go to 8’s because of depthe limitations. These sound so clear. I did not think I had a good enough ear to be able to tell the difference but even a novice like myself can here the difference between these and my Polks. I can’t wait to crank them up and get goosebumps. Awesome speakers for the price. Amazing to have ribbon tweeters for this price point.